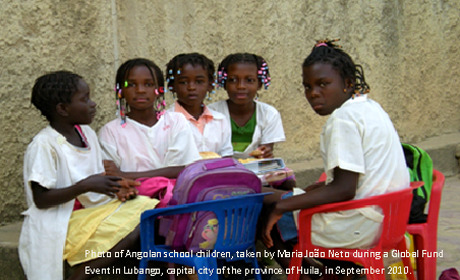 After enduring 40 years of almost continuous war, Angola was in disarray when peace accords were finally signed in 2002. Since then, the country’s economy has grown rapidly, but inequities persist, and nearly 40 per cent of Angolans live in poverty and maternal mortality and teenage pregnancy remain high. Since 1978, UNFPA has been working to: increase access to reproductive health (including family planning and treatment of obstetric fistula) and HIV prevention services; ensure sustainable population growth and development (through improved availability of reliable information); and increase gender equality.